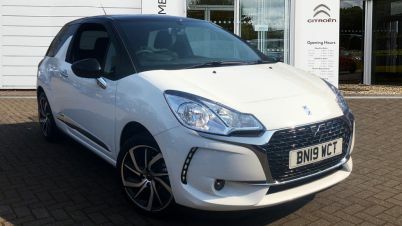 There’s a great selection of used DS cars available at here at Carsnip. We have 1,100 DS vehicles available at dealers nationwide, making us the best place for you to find your next car. Our intuitive system takes the stress out of finding the ideal car – try it out and find a second-hand DS at a dealer near you today. Once part of Citroen, DS now operates as a standalone luxury brand, under the umbrella of Groupe PSA, which also owns Peugeot and Citroen. 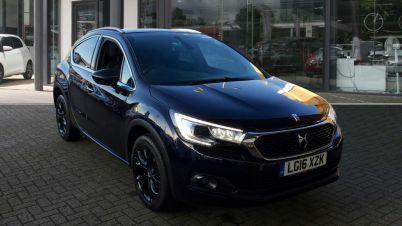 A relative newcomer to the automotive industry, a DS nonetheless will boast chic styling, good build quality and a range of efficient engine sizes. 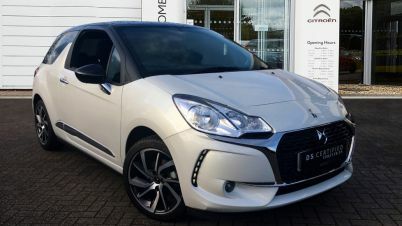 The DS 3 hatchback has a super-stylish interior in addition to its striking body, and boasts one of the largest boots in its class.